I remember when 30 sounded old. Frankly, it still sounds old. Sometimes I think about the child I was, and I wonder if it was actually me. I wonder if there’s any continuity between that person and this person. I wonder if she’d be disappointed in me. Most children want to be something when they grow up, it seems. It’s something we emphasize early on. You are identified by a profession, by a marriage, by being a parent. What do you do? Are you married? Do you have kids? When I was 6, I essentially wanted to be Carl Sagan (although I don’t think I knew who that was). 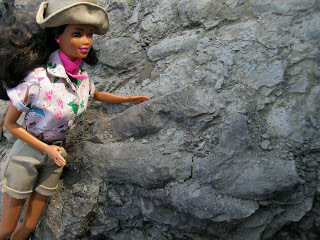 When I was 8, I wanted to be a paleontologist. Those were passing fancies, and the truth is, I never had a clear idea of what I wanted out of life. I didn’t think about it. I didn’t think about getting married or having kids. I just assumed I’d have a job, any job, and that maybe I’d get married. But it was never anything substantial. There’s that famous John Lennon quote: “When I went to school, they asked me what I wanted to be when I grew up. I wrote down ‘happy’. They told me I didn’t understand the assignment, and I told them they didn’t understand life.” I don’t think I even thought about being happy. To this day, it’s not a word I understand. But then, I don’t think I understand life either.